Most pigs in Australia and several countries in Europe are killed using carbon dioxide gas chambers. Carbon dioxide gas chambers are considered to be the most "humane" method to kill pigs. 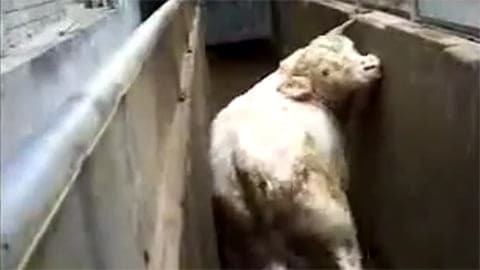 During 2015, Animal Liberation Victoria and Animal Liberation carried out an undercover investigation inside three pig slaughterhouses in Victoria, Australia. This video summarizes their findings and shows how the process looks from the inside. 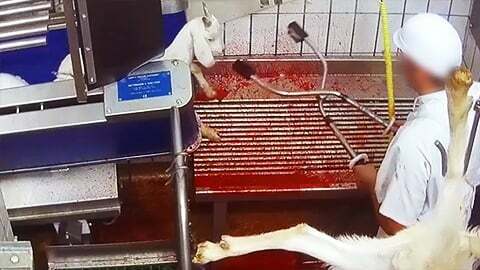 Obviously, the terms "humane slaughter" or "humane killing" are oxymorons, since nothing humane ever happens in a slaughterhouse.